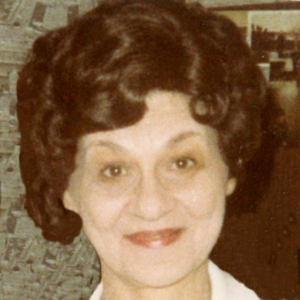 Obituary – Scott, Pauline Marie (Ryan) « Perry High School Alumni Association, Inc.
Pauline Marie Scott, 85, of Perry, Oklahoma, was the daughter of Paul Leo and Elizabeth Marie Agee Ryan. She was born on November 27, 1925 in Perry, Oklahoma and died on Thursday, September 8, 2011 at Green Valley Nursing Home in Perry, Oklahoma. She graduated from Perry High School. On January 14, 1972, Pauline married Elmer E. Scott in Phoenix, Arizona. He preceded her in death on November 13, 1986. She was a member of the First Presbyterian Church and she enjoyed cooking. She will be remembered as loving mother, sister, grandmother and great grandmother. Graveside services will be 2:00 p.m. Wednesday, September 14, 2011 at Grace Hill Cemetery Pavilion in Perry. Rev. Martin Foster will officiate. Interment will be in Grace Hill Cemetery. Services are under the direction of BrownDugger Funeral Home. Family will received friends Tuesday, September 13, 2011 from 6:00 p.m. to 8:00 p.m. at BrownDugger Funeral Home. Memorials may be made to the charity of your choice in care of BrownDugger Funeral Home, 1010 N. 7th Street, Perry, Oklahoma 73077. Pauline is survived by one son, Vincent Bryce Edmondson of Mannford, Oklahoma two daughters, Rhonda June Meyer of Perry, Oklahoma and Paula Marie Scott of Bucyrus, Missouri five grandchildren, Warren Scott of Newton, Kansas, Merta Litke of Abilene, Kansas, John McCowen of Oklahoma City, Oklahoma, Julie Reaves of Bartlesville, Oklahoma and Vickie McFarlin of Stillwater, Oklahoma and ten great grandchildren. She was preceded in death by her husband, Elmer E. Scott parents, Paul and Elizabeth Ryan and one brother, Warren Ryan.